It's estimated that nearly one in ten (9%) of cancer can be prevented by a healthier diet. But there seems to be just SO much information on the internet about what to eat and what not to eat! So let me summarise the evidence for you nice and neat. Eat mostly whole-foods and minimally processed foods. Go for 2 fruits and 5 veggies a day. People who eat more fruit and vegetables have less risk of dying from chronic diseases like heart disease, cancer, and diabetes, compared to those who eat the least amount of fruit and vegetables. Fruits and vegetables are rich in antioxidants such as flavonoids, carotenoids, vitamins C and E, which can protect DNA from damage. Enjoy legumes, nuts and seeds daily. People who regularly eat beans, lentils, and peas have a reduced risk of breast (and prostate) cancer. Isoflavones (found in soy, peas and beans) can reduce the effect of human oestrogen in the body (high levels of human oestrogen can increase breast cancer risk). Cut down on red meat and processed meat. Nitrates and nitrites often used to preserve processed meat are can be converted into cancer-causing chemicals in the bowel. Red meat and processed meat contains haem, which could irritate/damage cells in the bowel or fuel the production of harmful chemicals by bacteria in the gut. Cooking meat at high temperatures (e.g. grilling or BBQ) can produce cancer-causing chemicals. People who eat a lot of foods containing fish oils seem to have a lower breast cancer risk than people who only eat small amounts. Women who consume higher levels of saturated fats have double the risk of breast cancer compared to those consuming the least. So enjoy plenty of plant-based foods (vegetables, fruits, legumes, nuts and seeds and wholegrains) and go easy on animal foods for best cancer prevention. Spring is a great time to start eating lots of fruits and veg and other plant-based foods to help cut cancer risk. Here are some recipes based on specials available from major supermarkets! I L.O.V.E. 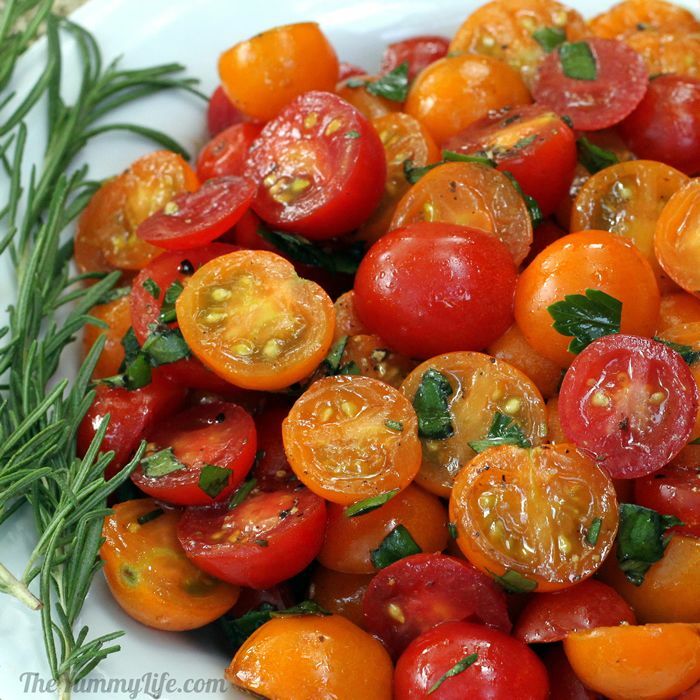 the way they cut cherry tomatoes in this recipe! Get your roast fix before the weather gets too hot. The forecast tells us we'll be reaching the 30's by the end of this week! Cherry Tomatoes 200g pack $2.50. Australian Herb Punnets or Sleeves 2 for $5. Australian Hass Avocados 3 for $5. Australian Baby Cos Lettuce 2 pack $2.50. Cobram Estate Extra Virgin Olive Oil 750mL $9 each. Uncle Ben's Microwave Rice 250-300g $2 each. (Rice Medley is a great combination of brown, red and wild rice to meet your wholegrain target). Australian Avocados 2 for $5. Australian Lettuce (variety) 2 for $3. Australian Walnuts 500g pack $8. AUstralian Broccolini 2 for $4. Australian Blueberries 125g punnet $3 each. How healthy eating prevents cancer. Cancer Research UK. Emaus M J et al. Vegetable and fruit consumption and the risk of hormone receptor-defined breast cancer in the EPIC cohort American Journal of Clinical Nutrition. 2016 Jan.
Merritt M et al. Nutrient-wide association study of 57 foods/nutrients and epithelial ovarian cancer in the European Prospective Investigation into Cancer and Nutrition study and the Netherlands Cohort Study American Journal of Clinical Nutrition. 2016 Jan.